Utah’s celebrity fitness trainer and nutritionist Angela Martindale calls kale “the most amazing superfood.” The leafy-green vegetable is surprisingly easy to grow in our climate. Some may consider kale a cold weather crop, but it’s incredibly durable throughout the year. Loaded with micronutrients, kale is also high in iron and calcium (more than milk) and works as an anti-inflammatory and detox agent. The benefits of this low-calorie superfood are numerous. “It’s so rich in macro and micronutrients. Your body is an ecosystem. We need to consume more leafy greens,” insists Martindale. Growing kale is easy in any yard. The many types of kale are commonly grouped by leaf type. “We planted kale last spring and we had it through the fall until temperatures dropped below freezing. You just cut off the leaves and they grow back in a couple of weeks,” says Gail Lewis, a local home gardener. The low-maintenance green can be planted in either the ground or a pot and grows best in full sunlight. 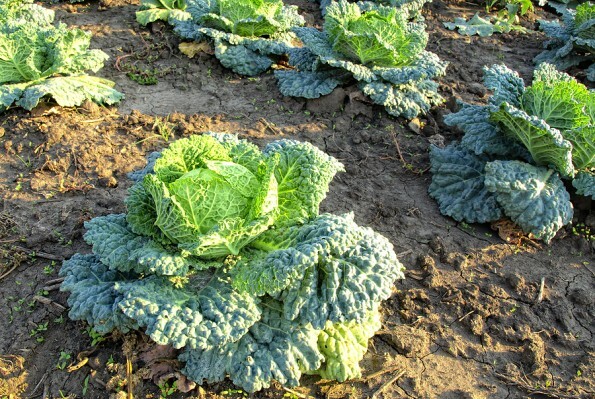 Ornamental varieties of kale exist, so be sure that the kind you are planting is edible. Some prefer kale grown in the cooler months as the leaves are sweeter with a bit of frost, so if that’s your objective, plant in early spring or late summer. Prepare the soil by tilling it with nutrient-rich compost. Remember to place a layer of mulch around the bed. This serves a variety of purposes: it keeps temperatures down, maintains moisture and helps eliminates potential weeds. Started from seed, kale will germinate in just over a week. For even the most amateur gardeners, kale is one of the easiest plants to grow. “I hardly had to do anything besides plant the seeds,” says Lewis. Kale doesn’t have a lot of pests or natural diseases to worry about. If by chance you do see a few yellow leaves, simply remove them. The vegetable matures in about two months and readily replenishes itself. It doesn’t keep well once cut, so make sure to harvest only when you intend to eat it.